It’s hard to know where to begin with my food truck experiences. I contemplated starting from the very beginning with my first food trucks in Los Angeles in August of 2010, but I think it might be more fun to skip around, highlighting certain events and certain trucks. Don’t worry though; I will definitely write a post about my introduction to food trucks that took place in LA. For now, though, I thought I’d start with my most recent food truck experience, the first Moveable Feast in San Mateo that took place this past Friday, July 1st. 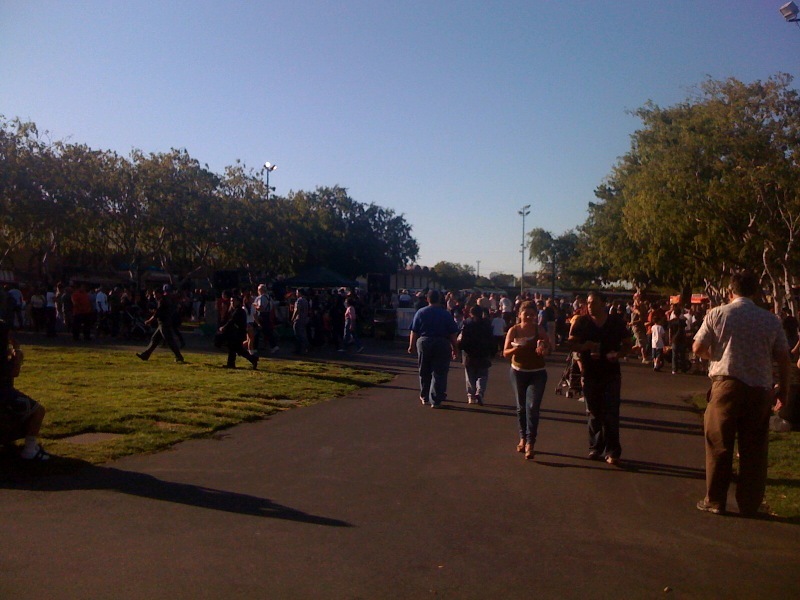 I have been attending Moveable Feast events since they began and were named SJ Eats. In fact, the first one I missed was this Saturday when I went to the A’s fireworks game instead. After a name change and a few successful events, Moveable Feast stretched its legs to extend up the peninsula to San Mateo. They plan to do this the first Friday of every month from now on. 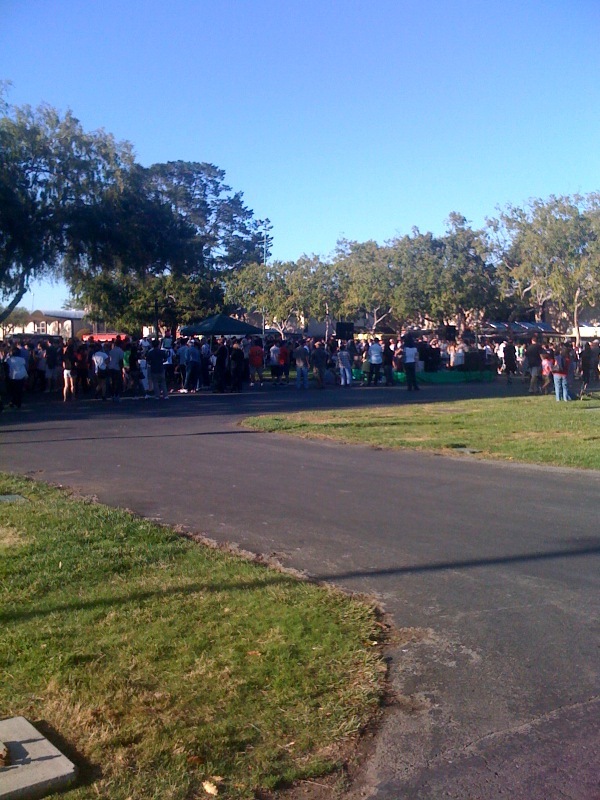 This time, however, was the first, and, much like the first SJ Eats in San Jose, the people of San Mateo came out in droves to show how much food trucks were desired in their city. Needless to say, things were a little crowded. I drove up early to avoid the traffic and parked at Hillsdale Mall to avoid the $10 parking fee at the San Mateo Convention Center. After walking the mall and lamenting the fact that malls are so much less exciting than I remember them being as a teenager, I made the walk to where Moveable Feast was taking place and arrived at the starting time of 5:30. A crowd had developed at the entrance, and a security guard with a walkie talkie let us all in when he got the go ahead. We all walked in and gradually swarmed the trucks. The first truck I made my way to was Mama’s Empanadas. It was one of the few at the 20+ truck festival that I had not had a chance to experience before. 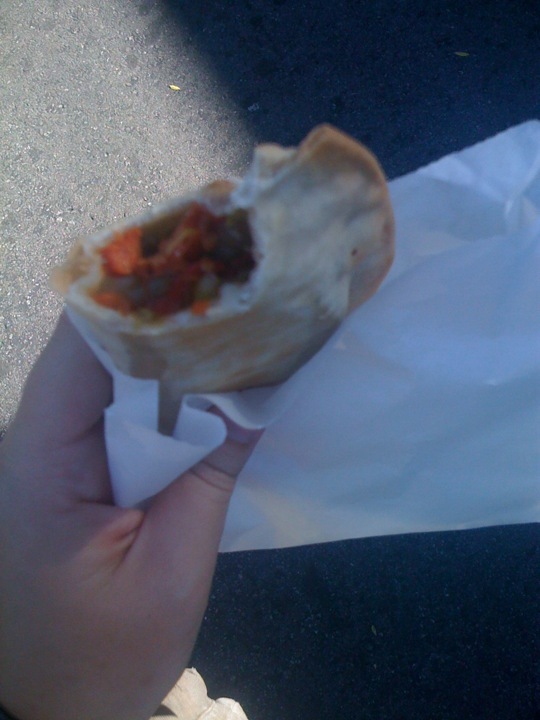 I got a vegetable empanada, and it was tasty. While waiting for my empanada, I saw people in line with beer. Beer! At a food truck festival! This is pretty rare, so I was excited. I asked them where they bought it, and my next stop was the beer booth. From there I walked around trying to decide which truck would be my next target, Sierra Nevada in hand. After some contemplation I joined the longest line in the festival by far, An the Go‘s. I had eaten at this truck twice before, but their garlic noodles are worth a return trip (or two or five or twenty). They’re also a San Francisco based truck that is a little less common in the south bay, so I figured it would be worth the wait. And it was. 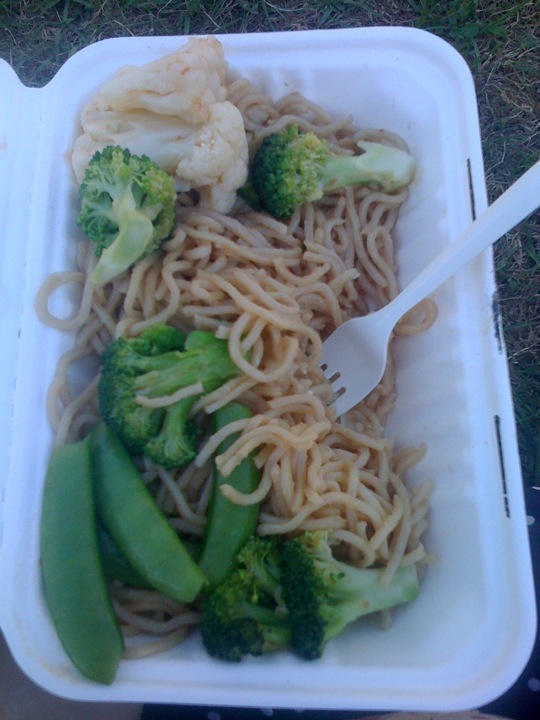 By the time I finished eating my noodles, the crowd had multiplied. I walked around and took photos as I waited for a friend to show up.